Frederick Haynes is the vice president of the African-American Pastors Coalition. 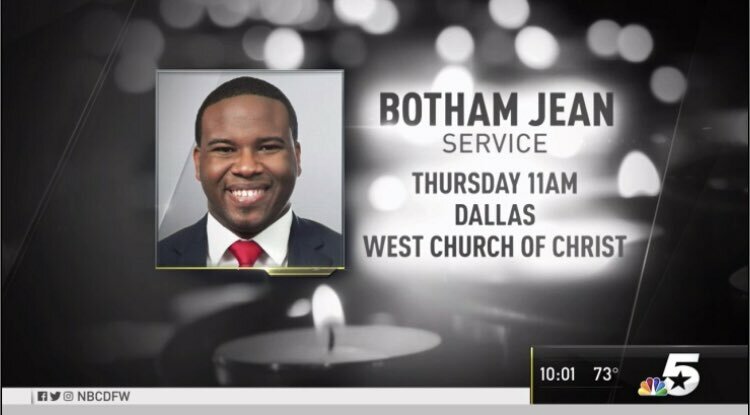 Many people across the country are outraged at the how the Dallas police have handled Amber Guyger shooting 26-year-old Botham Shem Jean in his own home. One of the biggest critiques is that it was 72 hours until Guyger was arrested and charged, giving her time to change her already shaky story. Nonetheless, a Black pastor in Dallas is praising the police. Really? Police attacked Botham Jean protesters with pepper spray, which is clearly is not keeping people calm. Moreover, what is certainly far from calm are the 72 hours Guyger walked free after she shot a man in his own home. Jean’s family, unlike the pastor, are not happy with how the case is being handled. They have repeatedly said she should have been arrested immediately. Bothem Shem Jean’s funeral is tomorrow. Our condolences go out to his friends and family. See the photo below, courtesy of Shomari Stone from NBC DC.